Disclosure: I received a copy of the DVD in exchange for my review. All thoughts and opinions are my own. I love the sentence on the front of the DVD. It sums up this movie so well, "You never know where a crisis of faith will lead you." While I am a believer, I do encounter my own faith issues. I think it's human nature and a part of life to question faith and what we've been taught. I liked the open approach to this project. They research, present findings, but leave you to draw your own conclusions. I appreciated the lack of pressure presented, making me stay more engaged with the film and the findings. I wasn't sure I'd love a movie that I consider to be a documentary. But I was drawn in and enjoyed learning some inconsistencies that really set Exodus 200 years before we thought. The conversations sparked while watching this have been incredible for my family and I. I think we will need to watch it a few more times to fully grasp everything we are being shown. Keep reading for a discount code and the opportunity to win a copy for yourself. About the author/filmmaker/producerTim Mahoney founded Mahoney Media Group, Inc. (MMG) in 1989. MMG focused its business on television and video production for regional and national companies. In 2014 Tim founded Thinking Man Films & Media as an international documentary & publishing company with a focus on education and the Bible. Tim produced numerous productions for Christian organizations including the Billy Graham Association, World Wide Pictures, and Compassion International. Tim also served as the President of the board for the International Christian Visual Media Association (ICVM). 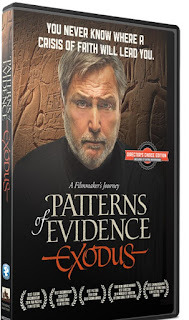 Tim’s first full feature documentary film, “PATTERNS OF EVIDENCE: THE EXODUS”, released in January 2015. 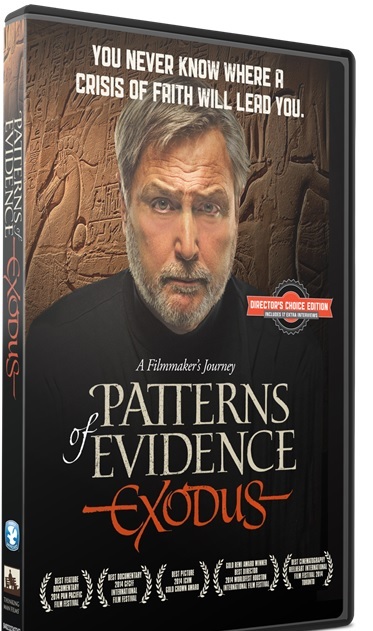 The film took 12 years to develop and takes a scientific approach to investigate the events of the biblical Exodus. The overall vision for his film company is to explore “patterns of evidence” that support the biblical narrative and engages the world in a conversation. The film takes a balanced approach and leaves the audience to decide for themselves if the Bible is real history or myth. If you have won a prize from our sponsor Propeller /FlyBy Promotions in the last 30 days on the same blog, you are not eligible to win. At this point in time, probably Noah.